HOUSTON- Over 400 Houston boys and girls were treated like kings and queens at a historic institution in Third Ward. It would be an unforgettable experience that organizers hope set the tone for these young people to have a successful school year. 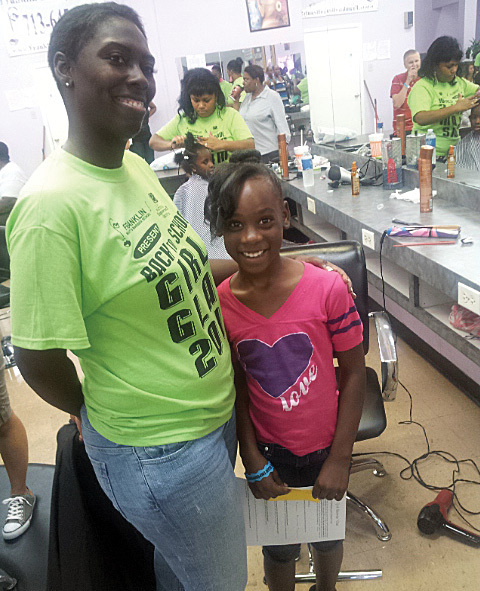 Franklin Beauty School and the National Empowerment Group, Inc. hosted the 3rd Annual Girls Glam Back to School Empowerment Weekend (Girls Glam 2012) on Sunday, August 26. Sponsored by LaneStaffing, Girls Glam 2012 was held at Franklin Beauty School-South, located on Martin Luther King Drive. Glam students and their parents started lining up outside the school at 7:00 a.m., an hour before the doors opened. The past two years, Girls Glam Weekend has been free and open to only girls ages 7 to 17. 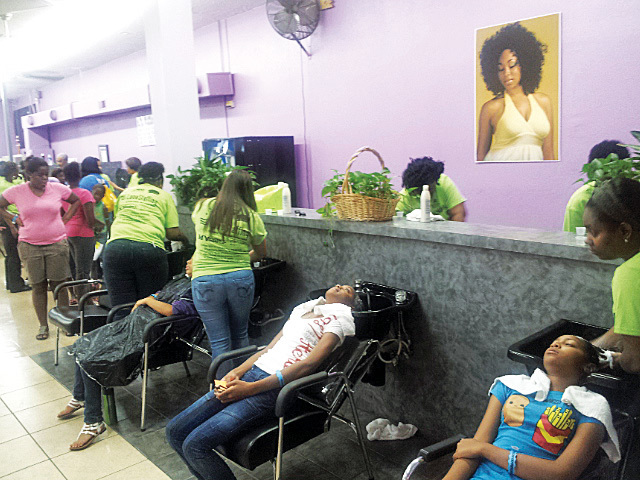 This year, the event included and offered haircuts for boys. Supporters helped to underwrite beauty products, backpacks and school supplies, in addition to food, and T-shirts.